Hannah Jolly, Probate Executive, works with Directors Kate Moss and Peter Worrall, lawyer Hannah Boxall, and two other senior Probate assistants in the Trust and Estate Administration practice area. 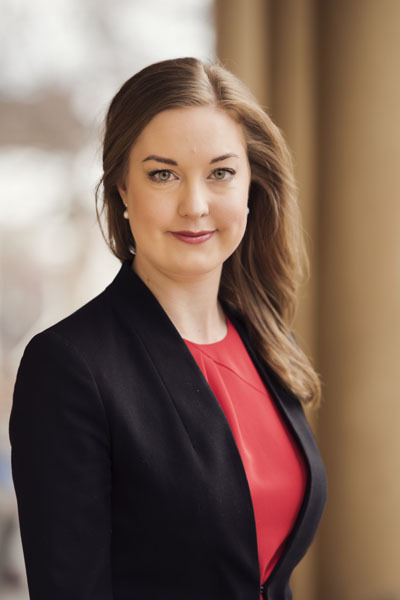 Hannah has a particular interest in legal issues arising from death, and has extensive experience in preparing applications for Probate and Letters of Administration in Tasmania. She regularly prepares applications for reseals of Grants issued by Courts in interstate jurisdictions. Hannah works closely with our clients, assisting them with matters relating to the administration of trusts and estates.